Parachute systems Force Solo designed to airdrop paratroopers with various additional equipment, from a variety of aircraft, from the altitudes up to top service ceiling (using oxygen equipment), on equipped airfields and on limited grounds. 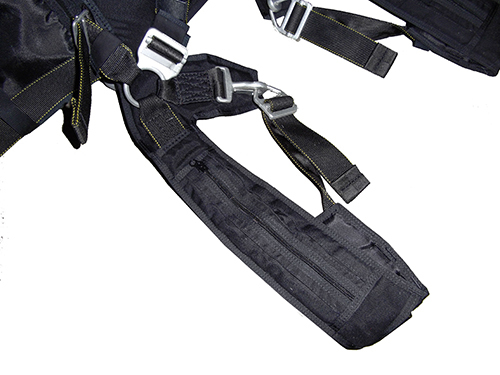 Harness system of the parachute systems is designed for a maximum take-off weight of 175 kg. 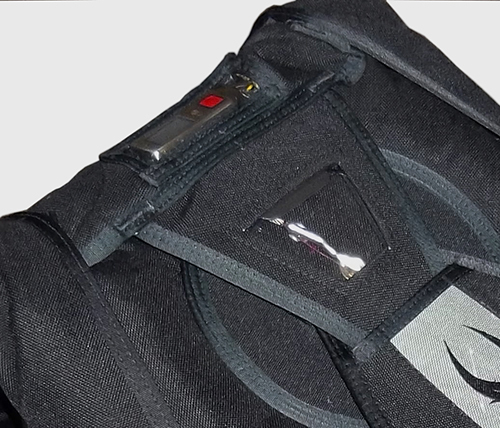 It has the ability to mount a freight container, hinges to link attachments, removable pockets to place the oxygen equipment and protect equipment from entanglement. Parachute systems Force Solo allow execution of parachute jumps from unequipped aircraft (except for the static-line jumps and drogue-chute). - Static-line with spring type PC (for parachutists with intermediate level of training, high-speed aircraft). That system has main container above reserve container, for parachute jumps with stabilization by the drogue. - Static line with direct bag (for parachutists with introductory level, low-speed aircraft, equipped with the cable for dropping paratroopers). - Container (in the lower part of the rig, to connect standard and long cargo container and to connect snap for the lowering cargo container). 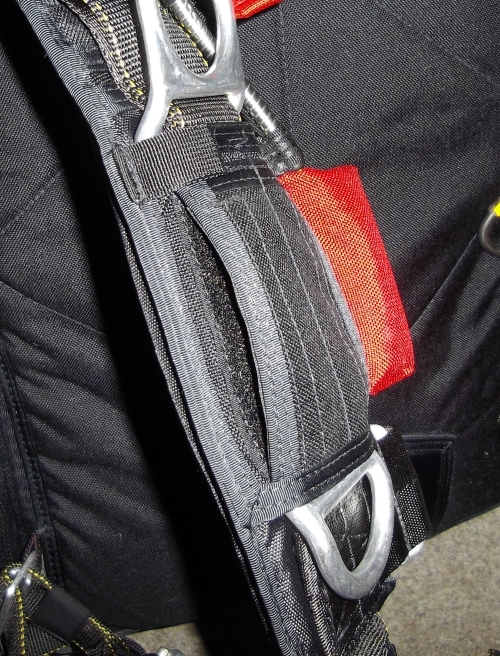 On the sides on the rig are placed removable pockets designed to protect parachute from getting caught in the equipment, and to place the oxygen equipment. 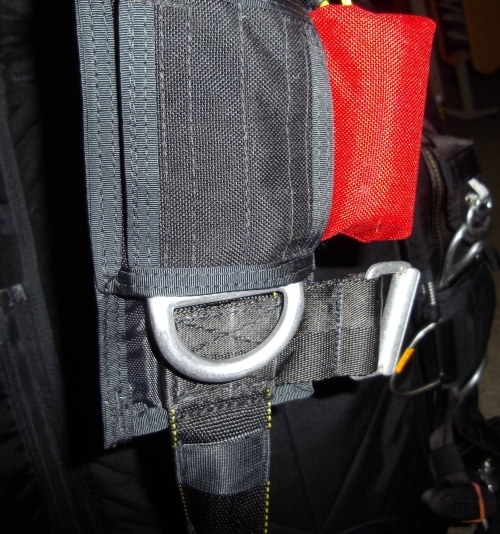 All Force Solo systems have RSL or DRD systems, to improve the safety of parachutists with a large number of attachments. 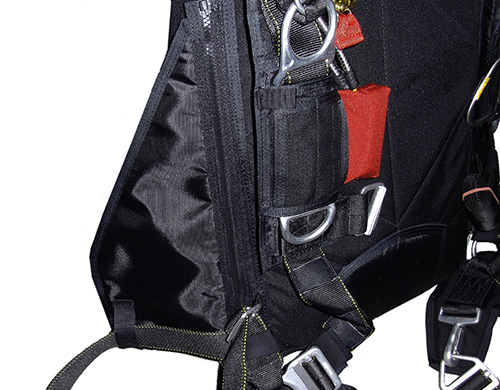 Ripcord pockets for main and reserve handles can be placed to the outside or inside the harness - it is required for easy access to the handles in different set of items in different containers. AAD control is placed on the outside of the container – to help AAD operation in a limited space. Reserve pincover flap has a transparent window to control the position of pin without having to open the flap. Leg pads can be made with larger width (for a comfortable HAHO flight with a parachute opening at high altitude), and may have additional pockets to accommodate small cargo.